You’ve heard the name, but you have no idea and you want to know what is Builderall, right? That’s why you’re here? 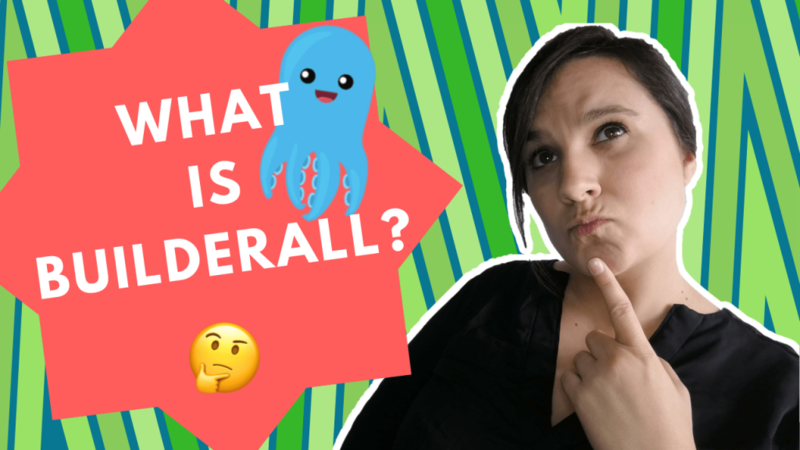 What is Builderall and what is this weird little squid that is the Builderall logo? There’s even more features included inside Builderall, but these are the ones I personally find the most useful. The great thing about Builderall is that no matter which feature you need, the price is lower than what most of these softwares would cost on their own. For example, ClickFunnels is a drag and drop website builder / sales funnel builder and it costs $97/month. AWeber, for 2500+ subscribers is $49/month. So you decide, do you want to pay the same amount, if not more, for the exact same type of software that has LESS features? Why is Builderall So Cheap? Builderall was built in Brazil, a third world country. They were able to higher designers and coders for a fraction of the cost of these other software companies based in first world countries. In fact, Builderall is still new to English-speaking countries which is why you’ll see a lot of Builderall tutorials in portugese or other languages. Also, the user-interface, is admittedly, slightly less friendly than some of the other big-box softwares. However, I personally switched because I found the tutorial videos sufficient enough to learn the platform regardless of the user-interface. So now that you know what is Builderall — do you want to try it for yourself? Click the button below.